So there you have it now for my take……….. It is hard reading any book that you have waited a year or more to come out so I had HUGE expectations and you know what? This book is exactly what I expected exciting, intense, complex, daring and thought provoking. I will tell you that I feel like I need to read it again to fully grasp everything that happened I know I missed something within the 127 chapters. I already am looking forward to when they make this into a movie I think this will be amazing and I will be first in line. The thing that sets this book apart from the others more so is how daring and raw it was, this book pushed the boundaries even more than the others did at least I feel that way. This book was also filled with some huge twists I did not see coming and some amazing events that I have since googled to find out if there is in fact truth behind them. (there is) And isn’t that a sign of a good book when it leaves you thinking and wanting more? 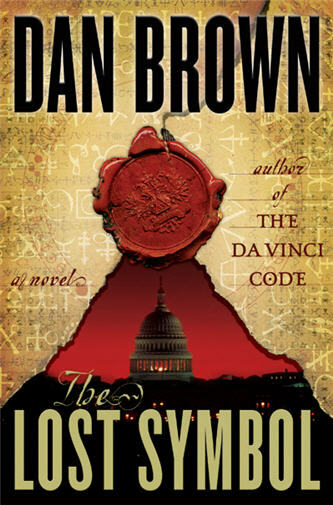 I recommend this book if you like the whole religion/political thrillers or if you have enjoyed Dan Brown’s past books I think you will enjoy this. I give this book two thumbs up!!! Comment me if you have read this with your thoughts!!! I might give it a try, but my list to read is huge right now, so it won't be anytime soon. Great review…you've almost got me sold on this series, it's just a huge time commitment for me. Ha! Oh, and WHY isn't this on the SS blog? Get it on there!!!!! !